Picture of a Nepali girl with her brother near the village of Hile East-Nepal. 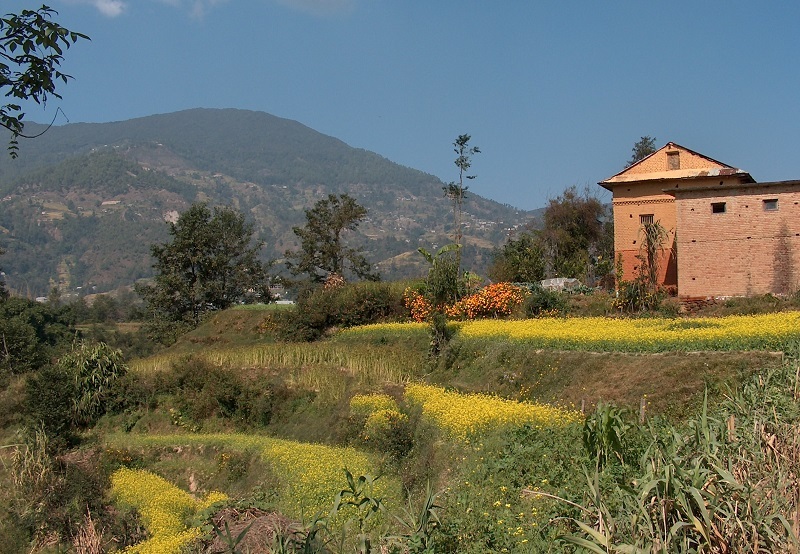 Photo of terraces just outside the village of Phutung, just a few kilometers north of Kathmandu’s Ring Road. In the background one can see the hills of Shivpuri Nagarjun National Park.